�Prepare yourself to indulge in the ultimate lesbian binge as Orange is the New Black returns to grace our screens on the 27th July 2018. 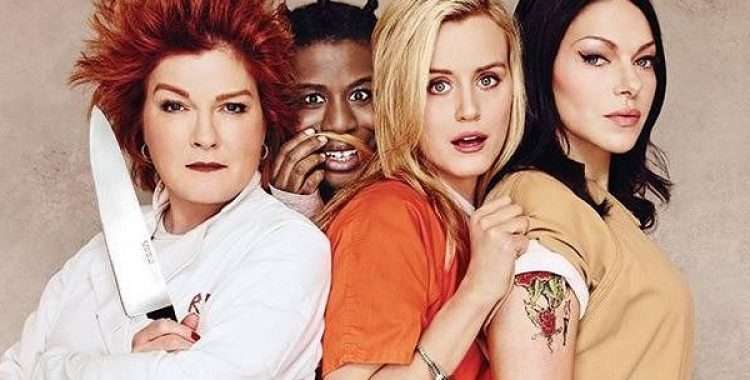 There are whispers of prison, partner and title changes, but it’s looking pretty certain that the following characters will return for the new series:�Frieda (Dale Soules), Suzanne (Uzo Aduba), Cindy (Adrienne C Moore), Taystee (Danielle Brooks), Red (Kate Mulgrew), Piper (Taylor Schilling), Alex (Laura Prepon), Nicky, Gloria (Selenis Leyva) and Blanca (Laura Gomez). Remember they were all stuck in the converted bunker at the end of series 5? 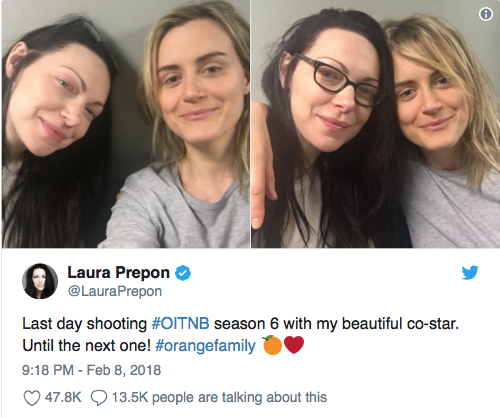 Many of the actors have reported S6 to have a ‘different’ feel to the previous seasons; I guess we’ll just have to wait to understand a bit more. There’s set to be a new bird on wing, �Rebecca Knox from the TV drama Bull, who’s been cast as Tina Swope and she’s rumoured to shake thangs up in the prison. It seems the producers are keeping all of their orange cards close to their chests, but whatever happens, let’s hope theres a continuation of love, lust and everything in-between.